Weibo is becoming a major source of iPhone leaks and today, we have another after a video was released showing a supposed Rose Gold iPhone 7 being compared with a similarly-colored iPhone 6s. The video, while perhaps not showing us anything we haven’t already seen except for that color, does tick all the boxes we would expect to see ticked at this point. There is no headphone jack, just a place for the Lightning connector and no Smart Connector either. 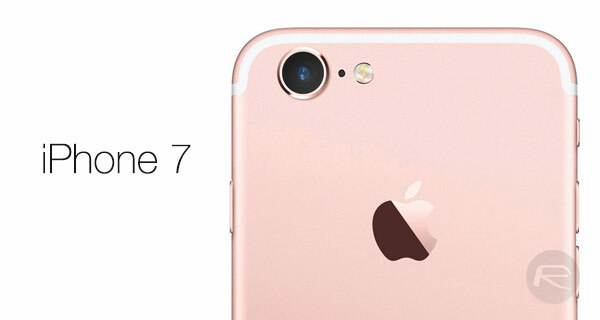 The camera cutout also looks to be identical to those that we have already witnessed on claimed iPhone 7 mockups. The video maker does not show the iPhone’s screen throughout, perhaps suggesting that it is not a working model and instead is just another mockup. For all we know it could be a real iPhone 7, but we suspect we would have seen much more of the device if that were the case. With the iPhone 7 expected to be announced in September, we are now very much at a point where mockups and models must be out in the wild in order for case and accessory makers to get their ducks in a row for release day. It’s entirely possible that these parts are now popping up in videos and photos online, so we expect to see more and more over the coming days and weeks even if we never see anything resembling a real, working iPhone 7 before Apple wants us to. The iPhone 7 and iPhone 7 Plus are expected to be released shortly after they are announced, with a completely redesigned iPhone likely to come next year. It’s this iPhone that is believed to be the one that will feature a more radical change in design than that of the iPhone 7, although you perhaps don’t get more radical than removing the headphone jack – something the iPhone 7 looks almost certain to do at this point. It could be. Apple may move to longer periods between model upgrades. If so, they may wait until next year to provide a more distinguishable upgrade.